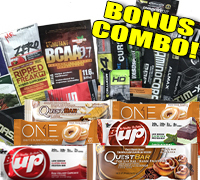 This sample pack contains 18x Assorted Product Samples and 6 of our top protein bars! Product Samples are the best way to try out a product to gauge the effectiveness/flavor first hand, for yourself. Get the best of the best product samples only at SupplementsCanada!